The Age of Digital Rhetoric: What Would SocratesThink? Digital rhetoric and Socrates – what in the world? It’s the Attention Age, gang, and the challenge to be heard is formidable at best. To be heard means you’ve got to persuade people to listen. 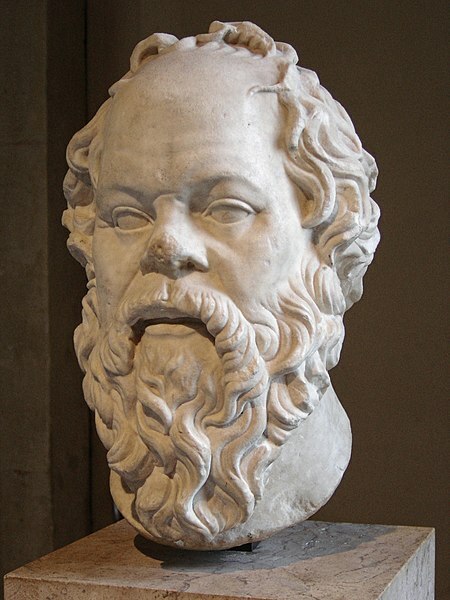 And to persuade people to listen means you’ve got to do what Socrates did best: employ the skills of rhetoric. But today’s rhetoric is not your mother’s rhetoric, or Socrates’ rhetoric, or the rhetoric you learned in high school and college. That’s right, even college, because most institutes of higher learning have not moved fast enough to equip their students with these important skills of digital rhetoric. The thing is, the basic idea is the same: rhetoric is rhetoric is rhetoric. It’s always been important, but today it’s critical, once again – to get heard among the cacophony of noise and information on the digital superhighway. But first, what in the world is digital rhetoric? Back then it was all linear. The speech began and ended, just as you orchestrated. The book began on page 1, ended on page 457 and the readers read just as you wrote. The commercials aired during a TV program, gave you time to go pee, and ended when the program resumed. And so on. Aha – today rhetoric is not so straightforward. Today you’re dealing with multi-media. Today you’re not in control of your message. Today the media isn’t linear. Consider: the You-tube speech clip can be paused, ended, ignored, fast-forwarded, or skipped entirely. The webpage full of information has links and images and audio clips and maybe even a video link, so no two visitors are going to get the same message in the same way. Worst of all, you, my “author” friend, are not in control. And of course, it certainly isn’t linear. The commercials are links on web pages, blog pages, search results pages, and so on. Figure out who your audience is and find out as much as you can about them – the narrower the better. If you claim the entire Internet as your audience, getting heard will be next to impossible. Determine EXACTLY what it is you want to accomplish. Convince your audience to believe? To buy? To learn? To do? Plan: pull all your tools together and design a message, choose the right medium, and plan the most effective networking strategy. Part of the non-linear nature of this bird is not only within the specific medium you use, but the need to network among an array of blogs, websites, and social networking tools. My message here, my friends, is to approach your Internet design and creation activities with a thoughtful and critical mind. Don’t just do, think first. Just remember Socrates is looking over your shoulder. I can’t seem to let go of the story about the plane that crashed into that house in Clarence, NY a week ago last night. I was just watching a video of an interview with the co-pilot, Rebecca Shaw’s, family. She was just 25, and a beautiful young woman. I’ve also listened to the cockpit to tower recording, and her voice was pleasant, lilting. I’ve always been obsessed with crashes, but why? The thing about this one that I hone in on is, did those people know? Did they know they were going to die? The out-of-control fall was for 26 seconds. Was that long enough to compute what was happening? God, I hope not, but I suspect it was. This is HARD!! I’ve blogged for business for three years now, but this is scary! I typically whip off a business blog in a few minutes, while I’ve been at this for two days now! YIKES.